Due to its very high density Tungsten is an excellent weighting material for pinewood derby cars. Only gold, platinum, and a few other rare and expensive metals have a similar density. 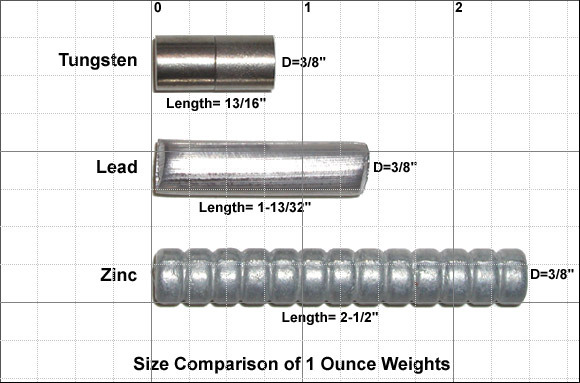 Tungsten is approximately 1.7 times denser than lead and 3.2 times denser than the zinc (“lead-free”) weight often used on pinewood derby cars, thus it allows a tremendous amount of freedom in the car design especially for speed by allowing the builder to place a large amount of weight in a small, aerodynamic area. Also tungsten is completely non-toxic and environmentally friendly.